As part of the interviews/junket, The New York Times wants to follow Allen throughout the day, which sets him off to say, “F*** The Times!” Allen is upset because a New York Times reporter, named James Nielsen, has written nothing but negative reviews of his acting. Naturally, the idea of walking around with the jerk is out of the question. Although, Allen becomes intrigued when the attractive Chelsea Brown (Rosario Dawson) shows up to do the interview. 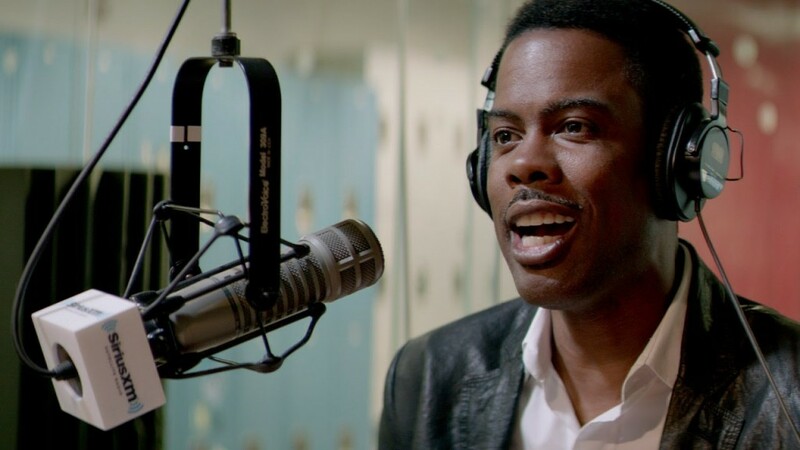 A Chris Rock film…what should one expect? Good jokes, check! Cursing, check! Crazy or even gross scenes (there’s a reason why it is rated R, like the red hot tampon (you’ll see)), check! An overload of A List comedic actors (Cedric the Entertainer, Kevin Hart, Tracy Morgan, Adam Sandler, Whoopi Goldberg, Jerry Seinfeld, etc.) is in the film mainly as themselves. For the most part, this just seemed like celebrities for celebrity sake or to save a film with such a weak plot structure. Top Five tries to touch on too many issues (discrimination, relationship trouble signs/gaydar, sobriety, and doing what you love in spite of fear) without maintaining fluidity. Top Five opens with Allen and Brown walking down the streets of New York discussing the current state of discrimination in society. Then the film cuts to a montage of interviews sliced with a college lecture/appearance, etc. Then later Allen and Brown meet and begin the interview. This sequence doesn’t make sense and it doesn’t further the story. It’s like they had too many ideas for the film and even though they couldn’t get the plot to flow they kept all of them anyway. As the director and writer of Top Five, Rock didn’t shy away from the up close camera shots either. WAY too many butts and breasts in my face! The title was perplexing for a good bit of the film, because I couldn’t see the tie. Then randomly a few people were asked their top five hip-hop artists. For example, Seinfeld’s Top Five are: The Sugarhill Gang, Eminem, Wale, Ice Cube, and Sir Mix-A-Lot. I still did not see the connection with the story, at least to warrant it being the title. I did enjoy the idea of an actor promoting his new film considering we were viewing an actor’s new film. Allen shared that he enjoyed sitting in a theater and hearing the audience’s responses to his films. This made me wonder if Rock does this on occasion. Not to mention the unexpected crooner DMX’s rendition of Charlie Chaplin’s “Smile” which was hilariously special. In true DMX style, he constantly interrupts the melody with mother****** and f*** respectively. There were some truly gut-wrenching moments of laughing for sure. So if you need to laugh until it hurts, go see this movie. 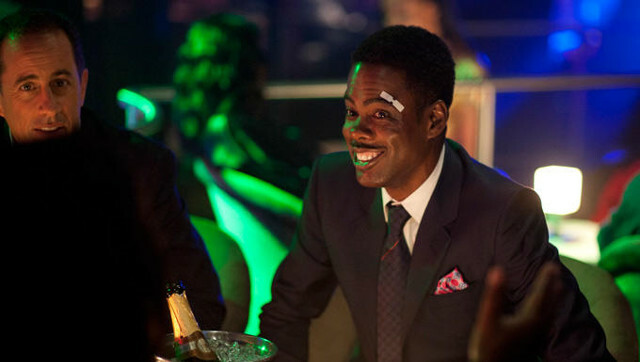 Since Top Five is a Chris Rock film, it will draw some box office, but I found it lacking. Film Review: ‘The Wedding Ringer’!! This entry was posted on Thursday, December 11th, 2014 at 12:40 pm	and is filed under Film, News. You can follow any responses to this entry through the RSS 2.0 feed. You can skip to the end and leave a response. Pinging is currently not allowed. « And the 2014 Golden Globes Nominations Are….